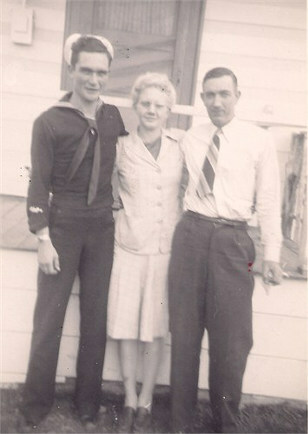 Panhandle Sailors, Flatland Cousins Who Went to Sea. The Shipman Family has a deep association with the Texas Panhandle. The family has lived in Erick and Texola, Oklahoma (both towns nearly on the Texas State Line) as well as in Floydada, Tulia and Plainview (Floyd, Swisher and Hale Counties respectively) before moving to California. The siren call of the sea seems to reach deep inland. Historically, it�s typical to find large numbers of naval personnel originating from landlocked regions. 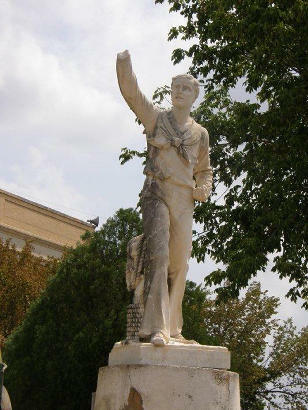 Chester Nimitz, the Admiral of the Pacific Fleet during WWII, grew up in the Texas Hill County and Admirals Wm. Leahy and Ernest King had childhoods in Iowa and Ohio (respectively). 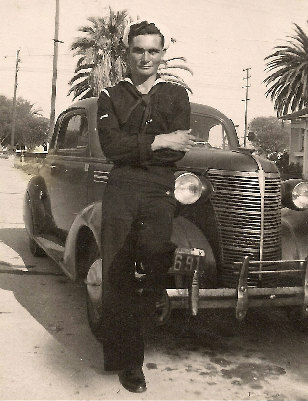 Samuel Horace Dowdell in his early 20s, after he had enlisted in the Navy in March of 1944. Born in Oklahoma on 13 January 1921, he died in Plainview, Texas April 6th, 1980. 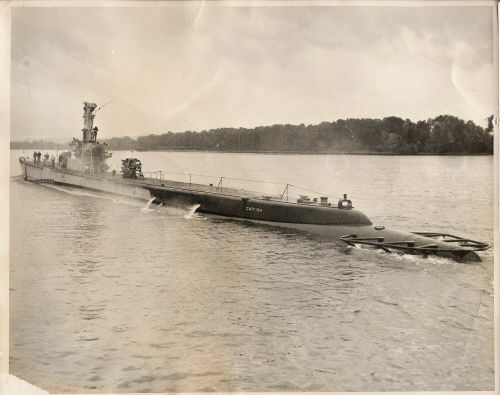 Three months prior to Samuel�s enlistment, in distant Groton, Connecticut, the keel had been laid for the submarine USS Catfish (SS339). Naval buffs interested in submarines can go to the official webpage for the USS Catfish. http://www.rontini.com/catfish.htm Although it arrived too late for action in WWII, it was sold to the Argentine Navy in 1971 and saw action (under the name Santa Fe) during the Falkland Island War in 1982. It was taken out of battle by British helicopters while it was surfaced. It was sunk, salvaged and then scuttled in deep South Atlantic waters in the late 1980s. Seaman Dowdell would be assigned to the Catfish when it was deployed for the Pacific and would learn of the Japanese surrender aboard the boat just two days after it arrived �on station� off Japan�s Coast. Barbara writes: �Horace had a very sad personal loss in his life and although I never knew him, I am working on his family tree. I so much want every one to remember him for being a brave young man he was and for the good he accomplished." Barbara writes: "The father of both Richard and Raymond Shipman was Rufus Truitt Shipman. Rufus married Hazel Crawford and it�s Hazel�s sister who is the mother of Samuel Horace Dowdell." �President Roosevelt told us how serious it was when he declared that a State of War now existed between the United States of America and the Imperial Japanese Government. There was a military draft in effect but I was not old enough to be eligible. Draft age was eighteen years and although I was only sixteen, my mind was made up to go into the Navy like my cousin Samuel Horace Dowell. Barbara writes: "Raymond saw the horror of war when he was so young. 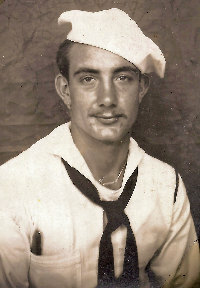 He saw his shipmates wounded and killed, and then, he too, was wounded in the Battle of Okinawa." The battle of Okinawa was ferocious. Japanese survivors recalled it as being �An Iron Rain.� It was the largest amphibious landing in the Pacific theater. Okinawa, just 350 miles from mainland Japan was the last stand of the Imperial Forces before the invasion of Japan proper. It was home to a civilian population estimated to be 500, 000. Allied submarines and the new B-29s had fewer targets in these final days of the war. The Japanese even sent the Yamoto � the world�s biggest battleship on a suicide mission toward Okinawa with what fuel they could fetch (by hand) from the dregs of storage tanks. The Yamoto, which was to beach itself and send its sailors to their death as Infantry, was hit by planes from three different U.S. aircraft carriers whose bombs and torpedoes tore the ship apart. The Battle of Okinawa produced the heaviest Naval casualties for the entire Pacific Theater. Fifty thousand men were wounded with over twelve thousand killed. 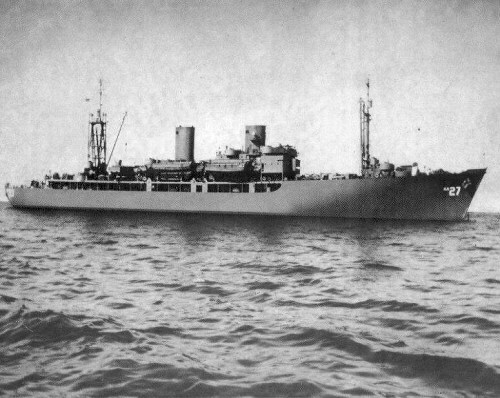 Barbara continues: "He and other survivors were picked out of the ocean and Raymond was taken to the Navy hospital in Manila where he stayed for some time. After the war he never talked about the Navy or the war but did enjoy talking to his brother Richard Shipman about Richard�s 20 years in the Air Force. Later in life, Raymond fell in love with a young lady named Evelyn Louise Crain and remained with her for the remaining 27 years of his life. Please write to editor@texasescapes.com and emails will be forward to Ms. Shipman. If sailors Shipman and Dowdell joined the Navy �to see the world�, their half brother and distant cousin (respectively) eclipsed their combined tours many times over in his 20 year Air Force career. Joining the USAF in 1973, his points on the globe included Korea, Okinawa, Wake Island, Guam, The Philippines, Australia, Diego Garcia, England, Iceland, Norway, Germany, Spain, Portugal, Italy (and Sicily), as well as Saudi Arabia, Turkey and Bahrain. 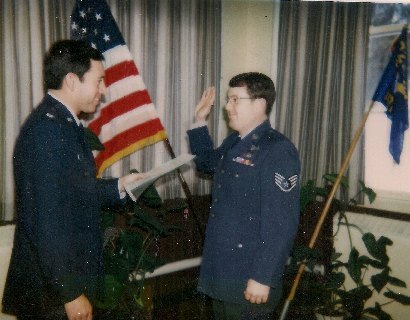 Trained in security at first, he guarded some of the Air Forces most sensitive aircraft, including the U-2 and the SR-71 Blackbird. After assignments on some of the most frigid bases in Alaska and Montana, Airman Shipman became an in-flight refueling technician. He experienced several close calls, including an engine explosion while carrying over 15,000 gallons of fuel (luckily there was no fire). His work, like that of many service personnel, may have gone unappreciated by the general public, but to the thirsty planes he filled, he was immediately the most popular man in the sky. He could or did top off the tanks of B-52,B-1, C-5, C-141, C-130, A-10, F-15, F-16, and F-117 aircraft. 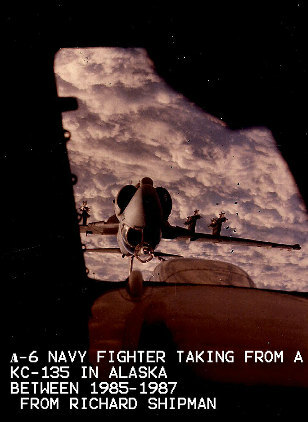 His most taxing time was during (and after) Desert Storm when his group completed a forty-five day round-the-clock tour where they transported a staggering 1,350,000 tons of cargo using C-5�s, C141�s; KC-10�s.